Not a pro with a brush or palette knife? No problem. Pour your paint! 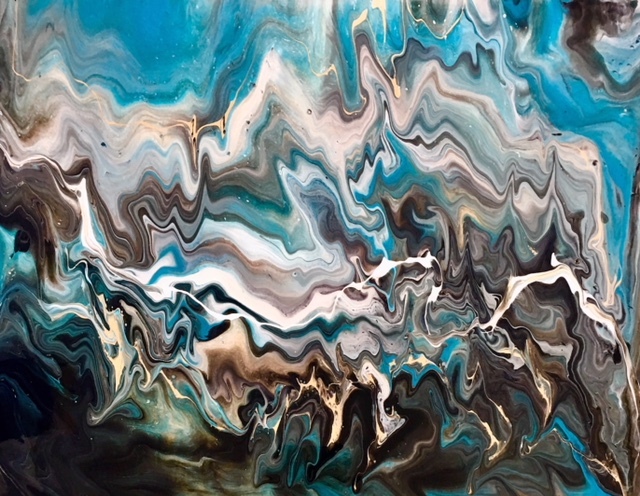 Open to all levels, Cindy will show you how to measure and mix the components necessary to pour and create a visually stunning one-of-a-kind abstract piece that you will take home from this workshop. See examples of this beautiful technique in Cindy’s studio at The Hub.